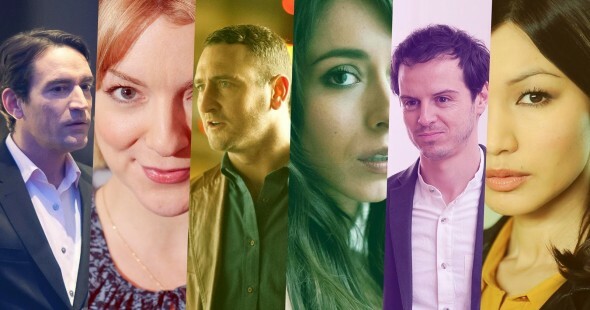 Performers include: Will Mellor, Oona Chaplin, Neil Maskell, Sheridan Smith, Ben Chaplin, Andrew Scott, Greg McHugh, Katie McGrath, Gemma Chan, Montanna Thompson, and Sian Breckin. A romantic drama, this TV show is set in modern-day London. It revolves around the first dates between two people who have met on an online dating service. The series explores the issues, intricacies, romance, and danger of modern relationships and the thrills, calamities, lies, and truths of first dates. Though some characters appear in multiple episodes, each installment revolves around a different couple. When David (Will Mellor) asks Mia (Oona Chaplin) to meet his kids, Mia realizes the relationship may be moving too fast for her. Looking for a change in pace, Mia calls Stephen (Ben Chaplin) for some fun. Things quickly take a turn when David shows up and finds Mia and Stephen together forcing Mia to figure out who, and what, she really wants. First aired: August 6, 2015. What do you think? Do you like the Dates TV show? Do you think it should have been cancelled or renewed for a second season? Would love to see this show come back to life!